Xiaomi has started crowdfunding its polarized sunglasses on its Mi Crowdfunding Platform for India. The two sunglasses are Mi Polarized Wayfarer and Mi Polarized Aviators, which will also be the first of their kind products from the company in India. 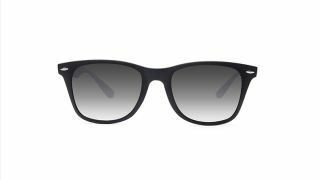 The sunglasses offer 100 percent UV protection against UVA, UVB and UVC rays up to 400 nanometers. The product description on the page mentions that the scratch resistant glasses also minimize glare and enhance contrast. They are said to reduce eye strain and are protected by O6 layered lens. The Wayfarer comes with a flexible TR90 frame in Blue and Grey colors. Whereas the Polarized Aviators use a 304H metal frame, which has Blue and Grey color variants. The Mi Polarized Wayfarer is priced at Rs 699 and the Aviators are priced at Rs 899. Both the sunglasses will start shipping from January 1, 2019, after successful funding. Xiaomi says there will be 800 and 1200 units of the Mi Wayfarer and Mi Aviator respectively, during the campaign. The campaign lasts till December 22. The Mi Crowdfunding platform was launched in April this year with the reveal of Mi Selfie Stick tripod and Mi Bluetooth Audio Recorder. The company makes the projects live and seeks for crowd support to make it successful. Upon completion of a successful project, the item is sent to the supporters. If a project fails, the company promises to refund the payments to customers.